All weather, all day, all over hold. 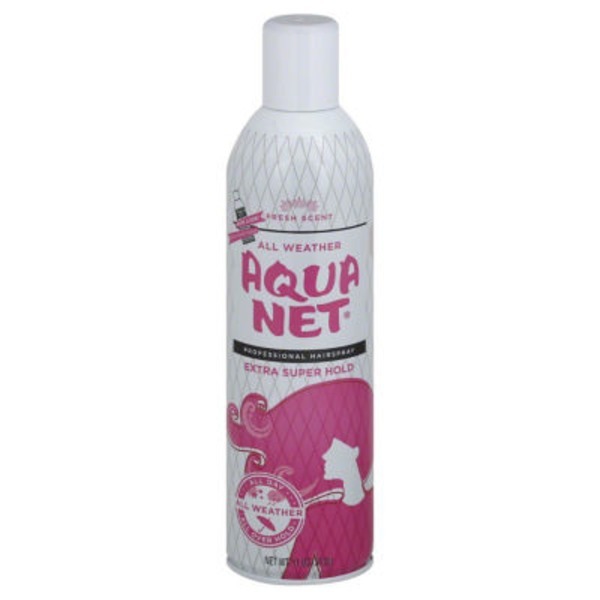 All Weather Aqua Net has been the professional's choice of hairspray for over 50 years. The crystal-clear extra super hold formula provides greater hold all day, all over throughout any weather conditions. Gives your hair body and volume without being too stiff or sticky. No flaking or build up. Contains no CFC's. Steel. Made in USA.